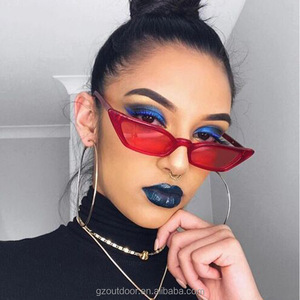 2018 S17077 New European Trendy candy colour Small UV400 Cateyes Women Sunglasses wholesale item no. S17077 payment term full payment or 50%deposit in advance,pay the balance before shipment delivery way by air,by sea,express mail, dhl,ups More detail ,welcome to enquiry or add our whatsapp:+8618620436867 to talk directly . 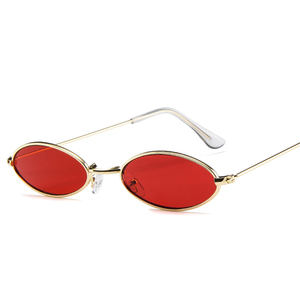 1 YRS Jinhua A-Young E-Business Co., Ltd.
1 YRS Linhai Rennes Optical Glasses Co., Ltd.
1 YRS Linhai Liangmu Trading Co., Ltd.
Alibaba.com offers 13,853 small sunglasses products. 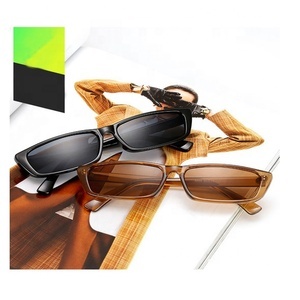 About 73% of these are sunglasses, 7% are eyeglasses cases & bags, and 1% are sports eyewear. 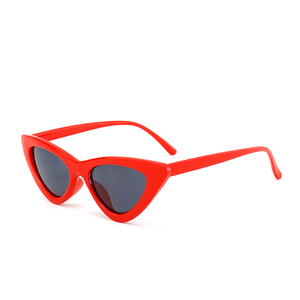 A wide variety of small sunglasses options are available to you, such as red, s black, and blue. You can also choose from pc, alloy, and copper. As well as from acrylic, resin. 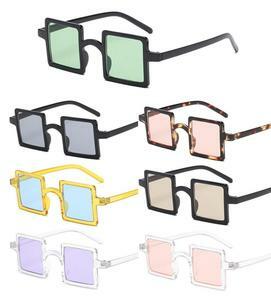 And whether small sunglasses is mirror, polarized, or gradient. 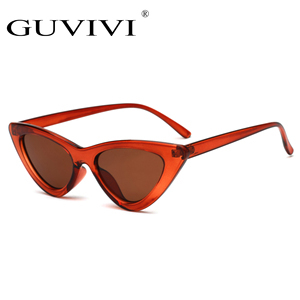 There are 13,853 small sunglasses suppliers, mainly located in Asia. 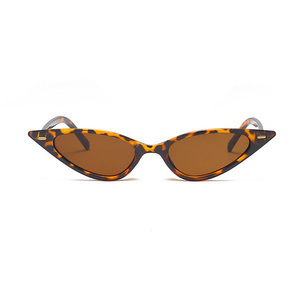 The top supplying country is China (Mainland), which supply 100% of small sunglasses respectively. 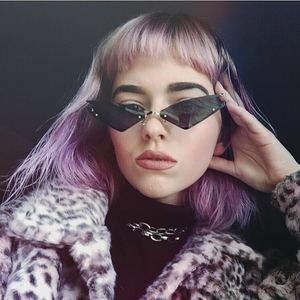 Small sunglasses products are most popular in North America, Western Europe, and Eastern Europe. You can ensure product safety by selecting from certified suppliers, including 923 with ISO9001, 786 with Other, and 257 with BSCI certification.